National Coffee Day is Tuesday, September 29th! 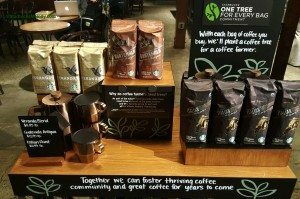 National Coffee Day kicks off a Starbucks partnership with Conservation International, donating a portion of whole bean coffee sales to the good-cause of planting healthy young coffee trees. 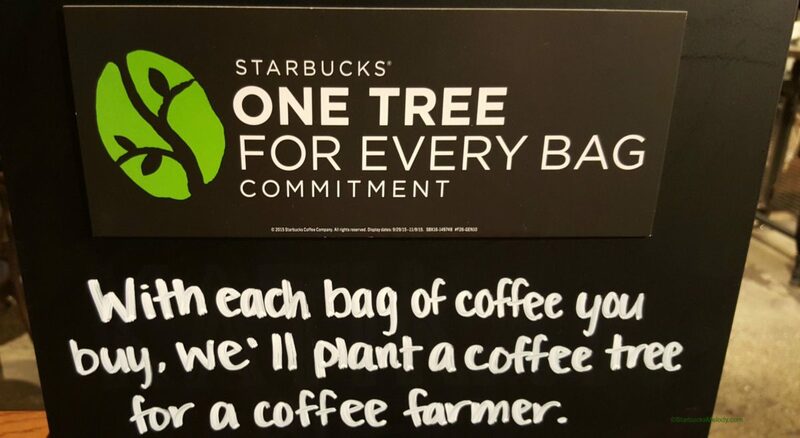 Starbucks will donate $0.70 [the average price of a tree] to Conservation International for every bag of coffee sold from participating Starbucks® stores in the United States to foster thriving coffee communities. Coffee Leaf Rust damages coffee trees. It’s a fungus that attaches to the leaves of coffee trees, killing the leaves and possibly ending all coffee cherry production from the tree. Also, aged coffee trees, such as those over twenty years old, produce far fewer coffee cherries than younger trees. The combination of the Coffee Leaf Rust and aging coffee trees results in lower coffee production in many places, especially Guatemala, El Salvador, and Mexico. 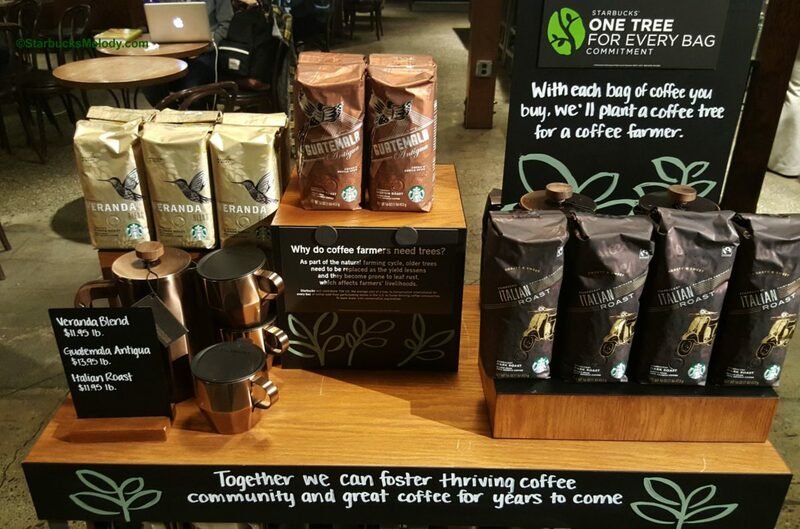 Starbucks will donate to Conservation International for every pound of coffee sold at Starbucks from September 29, 2015, all the way into September 2016. 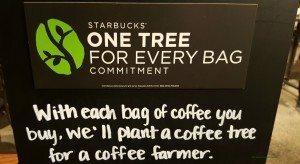 Starbucks and Conservation International will then work together with farmers to replenish and replace damaged coffee trees. Time to go buy whole bean coffee! You can follow Conservation International on Twitter here. Half pounds of Reserve coffee also count towards this! Single-serve (K-Cup, VIA, and Verismo pods) will not. @Claire – That is good to know! I wonder if the half pounds of coffee sold at the Roastery count – the scoop bar coffee. So proud of this and truly can not wait to see how my store’s community can impact the livelihood of our farmers through the purchase of whole bean through the next year. Glad to use our scale for good!